An estimated 1.2 billion viewers from all around the world will be tuning into watch the Commonwealth Games over the next 11 days, meaning the Gold Coast will be on the world stage like never before. 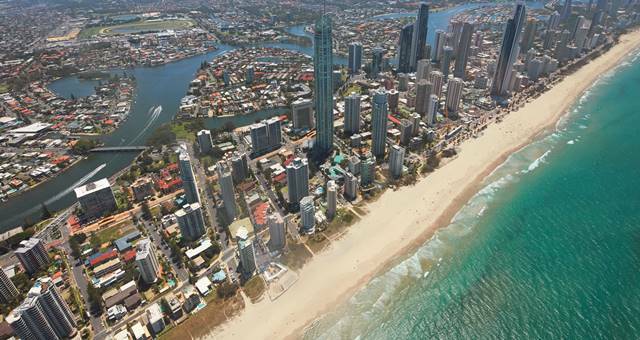 Destination Gold Coast CEO Martin Winter said the city would lay out the welcome mat for more than 600,000 visitors as the Gold Coast 2018 Commonwealth Games opens tonight, Wednesday 4 April. Visiting the Queensland tourism capital over the duration of the games will be 365,000 day trippers, 265,000 domestic overnight visitors and 50,000 visitors from overseas, according to official stats provided to HM by Destination Gold Coast. “The direct tourism impact of the Games is evident as thousands of media and athletes are complemented by hundreds of thousands of spectators over the next two weeks,” Mr Winter said. “In the past few days, Destination Gold Coast has been working with visiting international media who are embracing the new narrative of the city. “Many of these have been enjoying a personal holiday before their work duties start or are planning to stay on after the games to have a vacation, all of which add to the visitor statistics associated with the Games. Mr Winter said the Gold Coast tourism industry had been preparing for the Games since 2011 and were excited about what the next 11 days will bring.